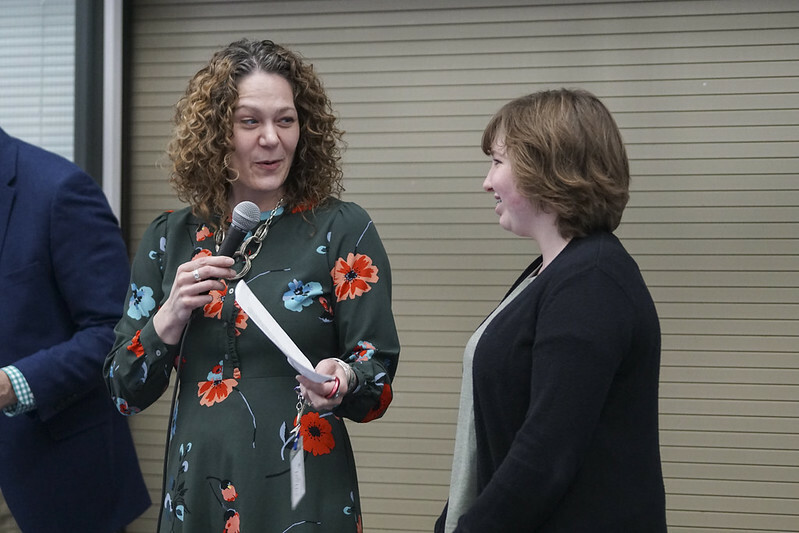 Seventeen Hopkins High School students were recognized for their commitment to academics and school culture on April 9. Hopkins High School recognized the outstanding achievements of 17 students on Tuesday, April 9. The students were nominated by staff members for their commitment to academics and school culture. This was the third recognition event of the school year. Staff members spoke words of praise for each student who was nominated and then the students were handed a certificate of achievement. Principal Doug Bullinger said the students who were nominated display excellence in citizenship, scholarship and leadership. One student per department is nominated for the third term achievement awards. The individual nominated is someone who embodies one or more of the following qualities: academic excellence, perseverance and fortitude, excellent citizenship, and overall improvement.